The whistleblower’s lawsuit alleging that Crown Castle International hid millions of dollars from New York that the State should have received was unsealed in June. 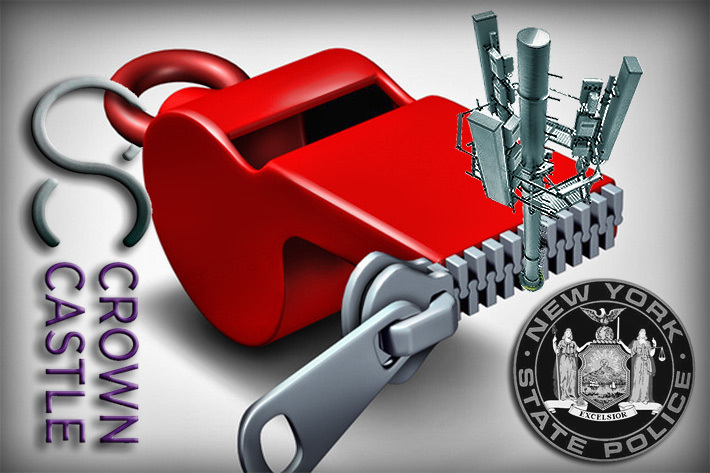 A whistleblower lawsuit filed on Dec. 28, 2015 alleging that Crown Castle International has cheated New York out of millions of dollars by hiding fees it received from wireless carriers that were supposed to be split with the State has been unsealed in N.Y. State Supreme Court. 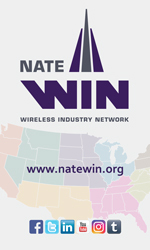 The U.S.’s largest operator of towers and DAS systems is accused of filing monthly reports to the state, falsely showing its subsidiary, NY-CLEC, was the only user on New York State DAS sites where Crown enjoys an exclusive site management monopoly pursuant to a Telecommunications Site Manager Agreement (TSMA) inked on Aug. 25, 1997, according to court documents. “Crown Castle strongly disagrees with the allegations in the lawsuit, which appear to be based on a misunderstanding of the contracts at issue and the State’s involvement in the licensing process. Crown Castle did not engage in any misconduct with respect to the contract or the State and will vigorously defend the lawsuit,” a Crown spokesperson informed Wireless Estimator in a statement. The lawsuit says the scheme began about 2012 when Crown entered into a series of “below market” DAS license agreements with NY-CLEC to install antenna systems. In turn, NY-CLEC paid Crown approximately $400 for each site. Crown disclosed the DAS Host Site License Agreements (SLAs) to the State and paid 50% of the fees. However, according to the complaint, Crown did not market the DAS sites to any third party users, in violation of their obligations to do so and to maximize revenues for the State. Instead of Crown entering into additional user licenses for DAS sites, the complaint states that it entered into a series of confidential carrier use agreements (CUAs) for use of the sites and they, in turn, paid NY-CLEC a recurring monthly node license fee of approximately $500 to $650 per node, resulting in a total monthly fee of approximately $25,000 at some sites. With numerous DAS sites situated throughout New York on State-owned land, the scheme has cost the State millions of dollars, the lawsuit alleges. The whistleblower (Relator), a New Jersey resident, was employed at one of the U.S.’s largest carriers from 2010 through 2016. His job duties required reviewing Crown’s contracts, and his information is being relied upon for the complaint. The Relator brought the action on behalf of the State of New York as allowed by the New York False Claims Act, requesting that the State recover 50% of the gross receipts of all user fees lost to the State as a result of the scheme, plus multiples, penalties, and costs. He said that the NY-CLEC had no right to enter into user licenses. On Aug. 25, 1997 the New York State Police, authorized as a signatory on behalf of the State and its agencies, entered into the TSMA with Crown where the Houston-based company would provide marketing, design, construction and maintenance/operation of telecommunications sites within New York. However, on July 19, 2012, Lt. Colonel Terence O’Mara, Superintendent of Administration for the State Police, agreed to a request from Crown to reduce its oversight of the TSMA and allow Crown to manage the approval of new licenses on State facilities. This allowed Crown to implement the arrangement not to disclose additional revenues they were receiving, the lawsuit alleges. As required by the TSMA, Crown was required to maintain accurate records in connection with its accounting, billing, and collection of user fees in connection with the DAS sites, and to provide the State with an annual certified list of users of the DAS sites. However, according to the complaint, Crown provided false accounting, billing and collection records and incorrectly stated that NY-CLEC was the only user of the DAS sites, omitting the carriers as users. Under the New York False Claims act the Relator is requesting that Crown pay an amount equal to three times the amount of damages sustained by the state or local governments; pay penalties of not less than $6,000 and not more than $12,000 for each violation, and award for bringing the action, 25% of the proceeds of the action or settlement if the State of New York or its localities intervene or supersede in the matter, or, alternatively, 30% of the proceeds of the action or settlement of the claim, if New York State declines to intervene or supersede. Edward Paltzik of Joshpe Law Group LLP, representing the Relator, declined to comment. Crown’s 20-year contract signed in 1997 expires in November. In 2007, the Office of the New York State Comptroller audited Crown’s contract and determined that Crown accurately calculated and remitted the appropriate share of contract revenue to the Division of State Police (DSP) in accordance with contract terms, and that DSP distributed the correct amounts to participating agencies. Also, they concluded that Crown was in material compliance with its structure developing and marketing responsibilities under the contract.